During the Islay walking week 2013 we visited the Singing Sands near Port Ellen, having walked up the along the shore from Inveraval. 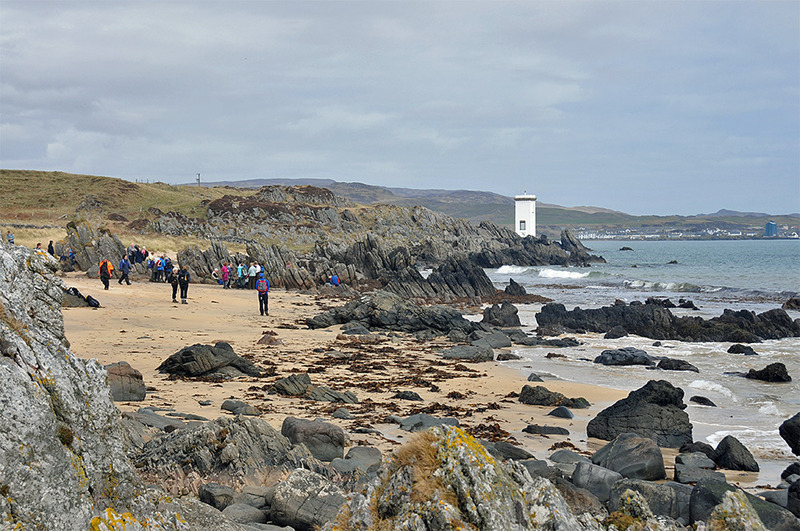 On the right the lighthouse at Carraig Fhada and in the distance Port Ellen. This entry was posted in Beaches, Cloudy Weather, Landscape, Lighthouses, New Post, Village and tagged Carraig Fhada, Islay, Port Ellen, Singing Sands by Armin Grewe. Bookmark the permalink.